Singh said in the Lok Sabha that the central government has introduced the 'Pradhan Mantri Fasal Bima Yojana' (PMFBY) from Kharif 2016 to address risks associated with agriculture. Insurance companies, which fail to clear claims of farmers for crop loss within two months, will have to repay with 12 per cent interest, Union Agriculture Minister Radha Mohan Singh said today. The farmers will get full insurance cover as there is no capping of the sum insured and consequently the claim amount is not curtailed or reduced. "Those insurance companies which fail to clear claims of farmers for crop loss within two months, will have to repay with 12 per cent interest," he said during the Question Hour. The minister said this scheme provides insurance cover at all stages of the crop cycle including post harvest risks in specified instances. Singh said the PMFBY addresses all shortcomings in the earlier schemes and is available to farmers at a very low rate of premium. 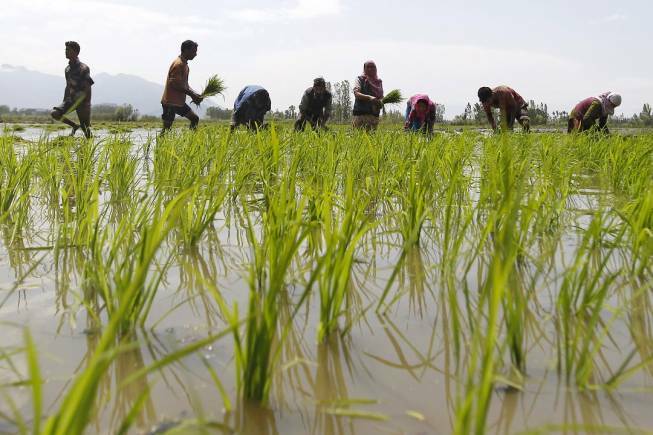 Minister of State for Agriculture Gajendra Singh Shekhawat said 10 crore farmers in the country have taken the cover of the PMFBY and five crore of them availed insurance benefits so far.